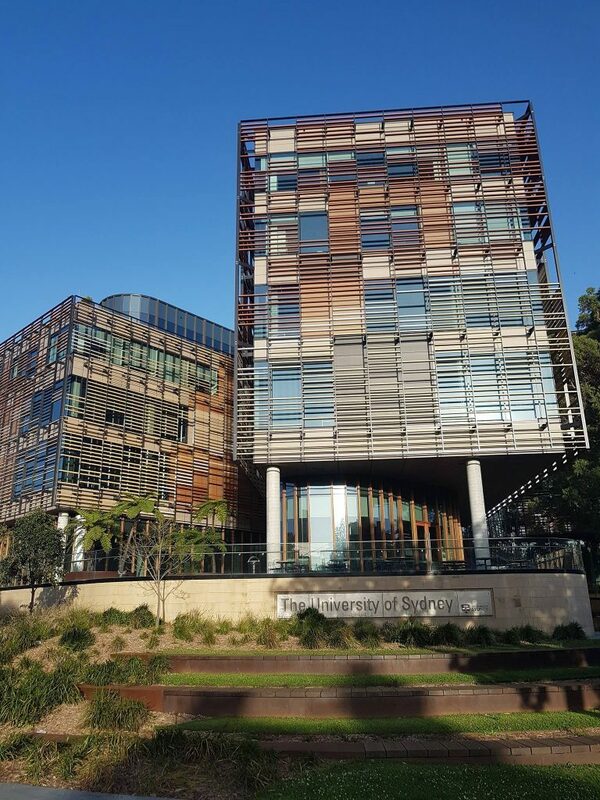 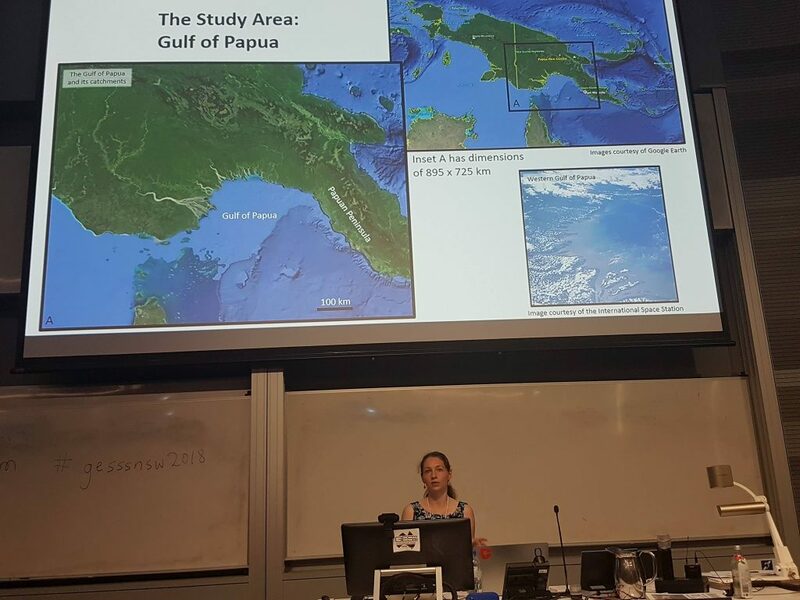 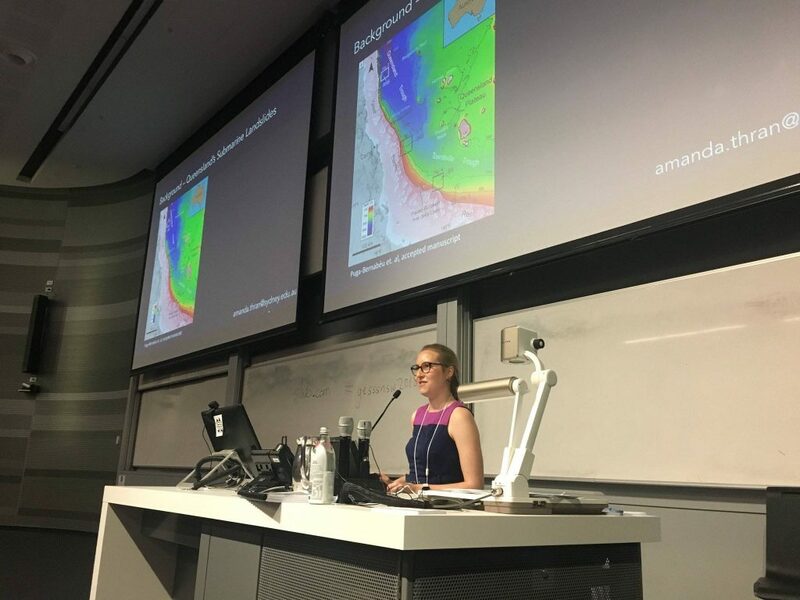 Earlier this week, the Geological Society of Australia‘s Earth Science Student Symposium of New South Wales (GESSS-NSW) was held at the Abercrombie Business School, the University of Sydney! 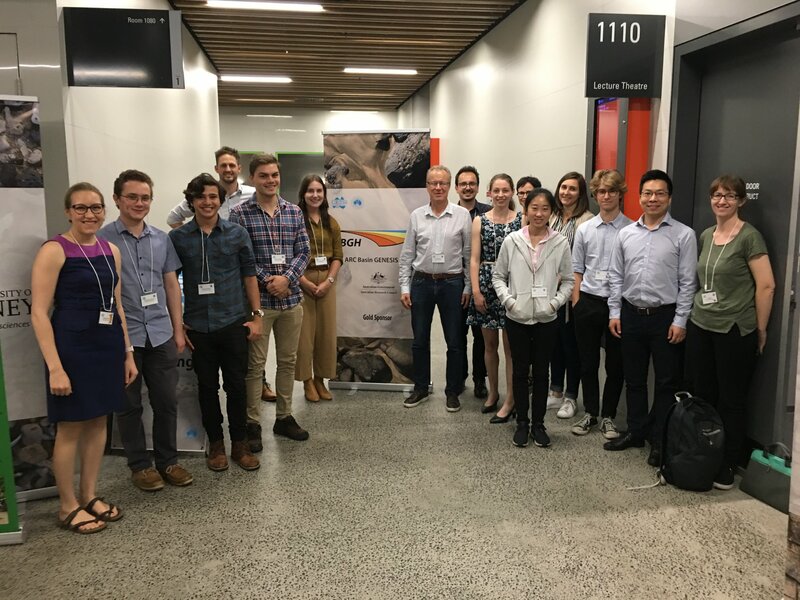 GESSS-NSW is an Earth sciences conference held by students, for students. 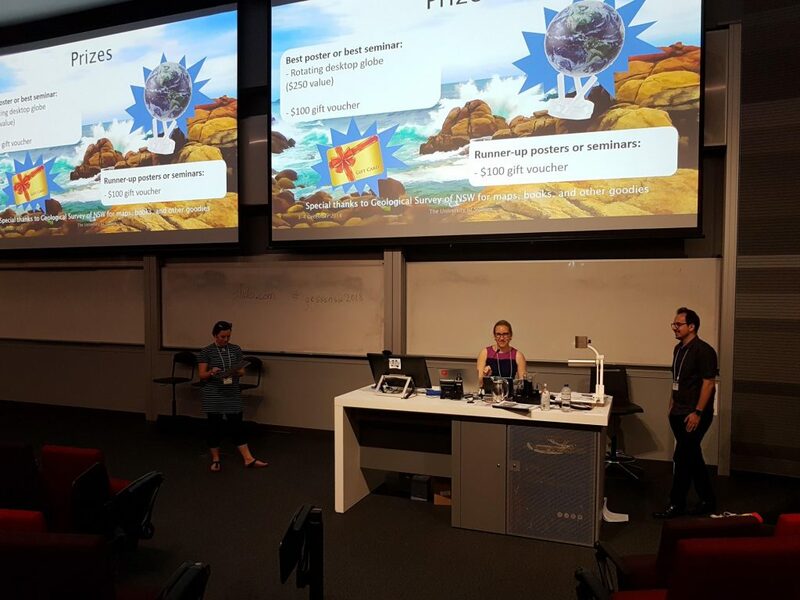 For months, EarthByters were heavily involved in the organization conference, where Mandi Thran was Committee Chair, Rhi Garrett was Secretary, Maxim Adams served as Treasurer, Jo Tobinserved in a Logistics and Marketing role, and Sabin Zahirovic and Claire Mallard were faculty advisors. 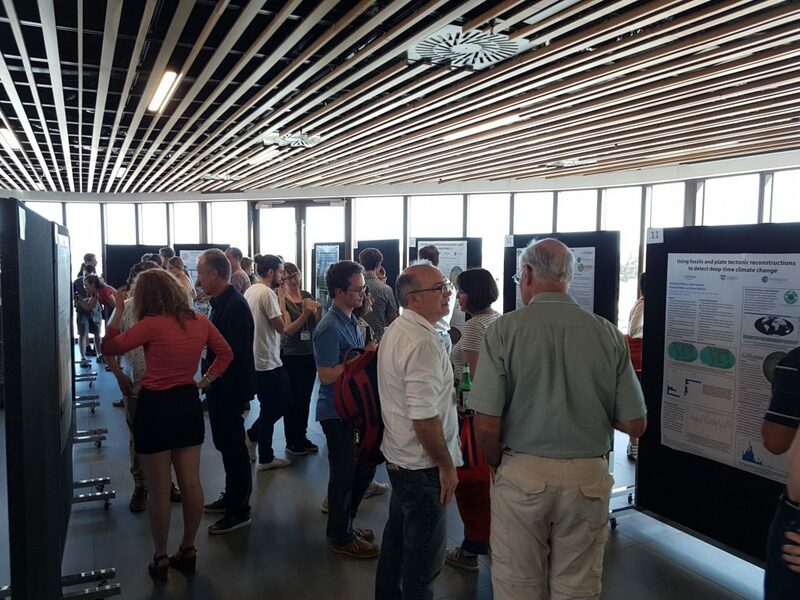 Many EarthByters also presented their original work at the conference. 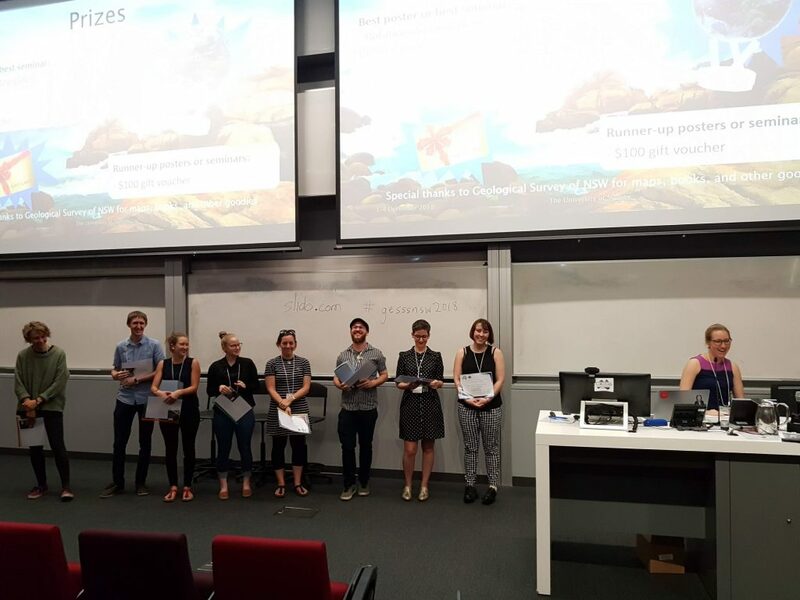 Carmen Braz, Sam Russell, Chris Alfonso, Wenchao Cao, Jo, Claire, Rhiannon, and Mandi presented a mix of posters and seminars! 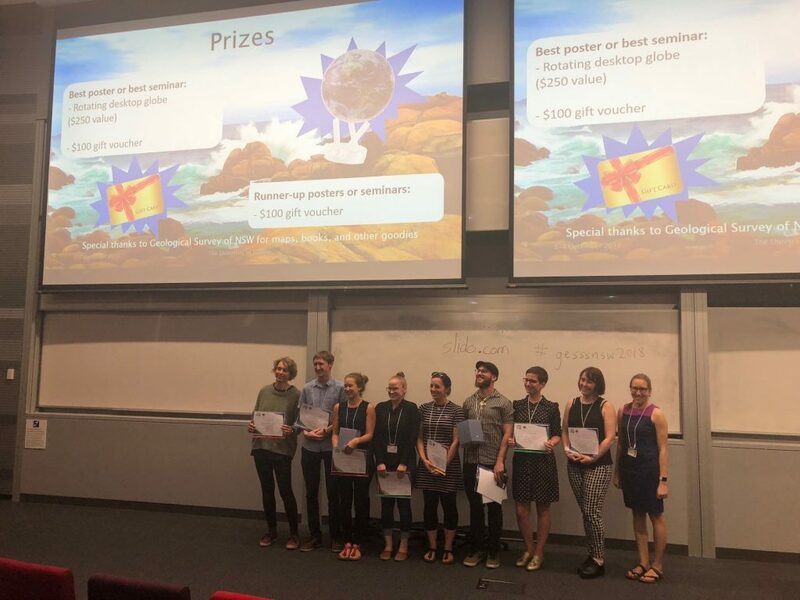 Visiting EarthByte researcher Edward Clennett, from the University of Oxford, also took home an award for a seminar he presented on severe storms in Brazil! 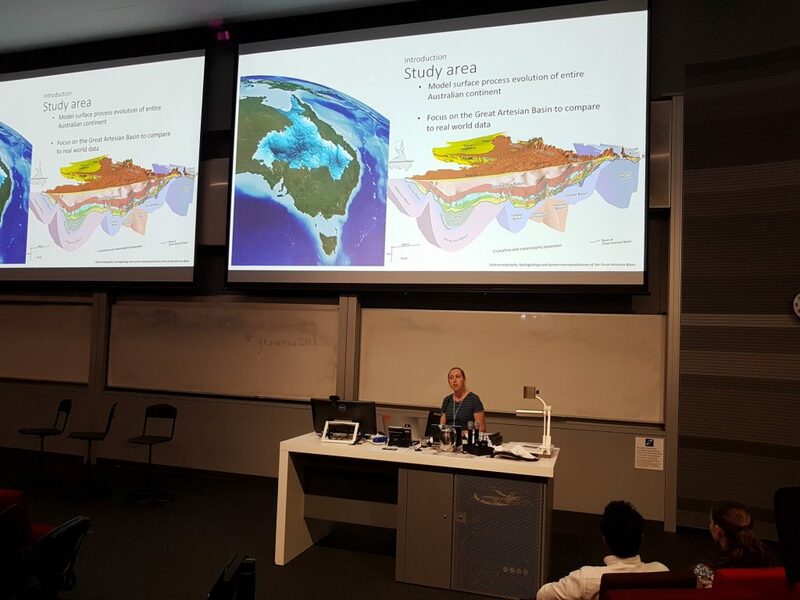 In addition, EarthByte Director Dietmar Muller was an active participant, giving a talk on behalf of the ARC Basin GENESIS Hub, serving as a panellist for Marita Bradshaw’s keynote on the Future of Geosciences, and providing beautiful NSW photography for their promotional material! 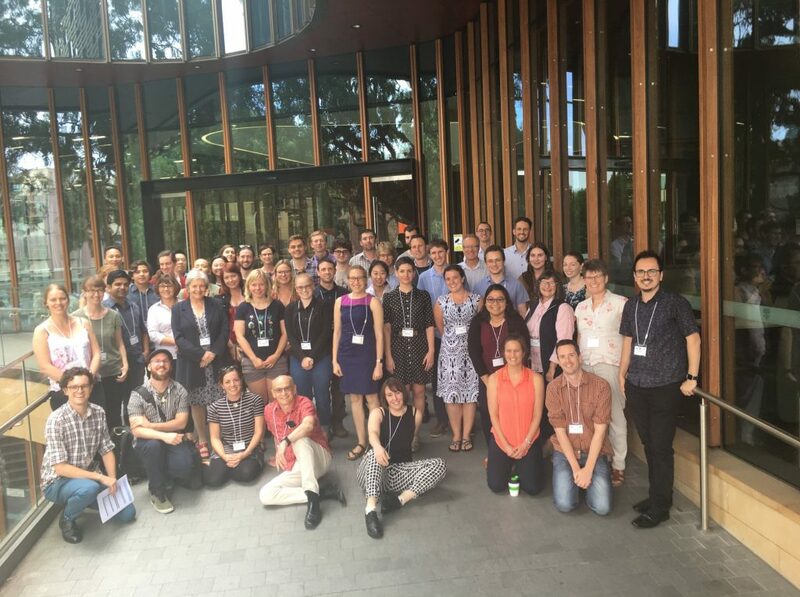 The conference was an incredible success, with participation from eight New South Wales universities and support from several sponsors. 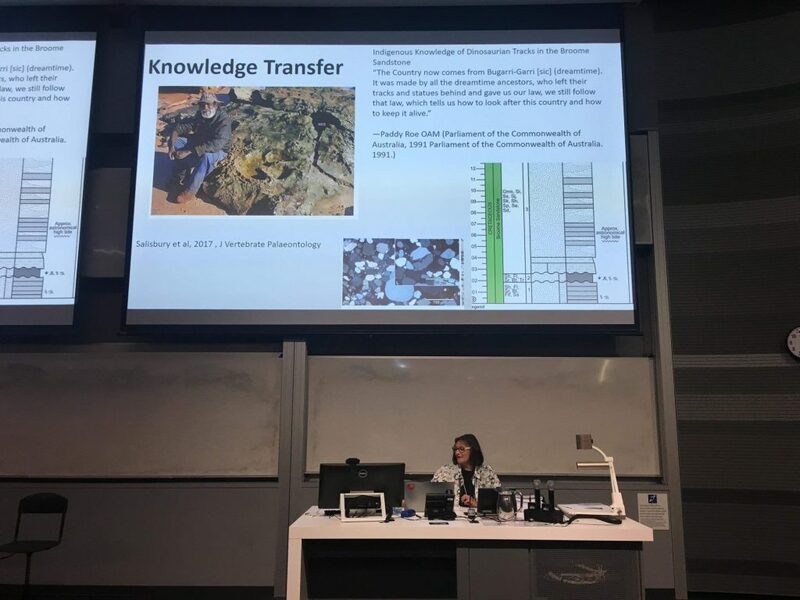 Included among the Platinum sponsors was the Basin GENESIS Hub, who was instrumental in providing a spirited environment for the students to present their work and to connect with the wider geoscience community. 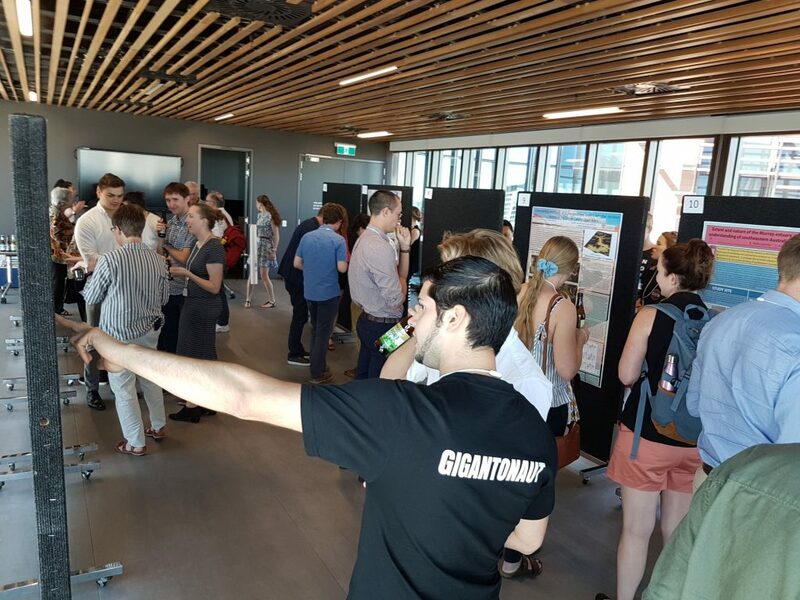 Congratulations to everyone involved in this spectacular event for the student community!